When reading devices such as Kindle’s first came onto the market the thought of them didn’t appeal to me at all. I love reading but part of that satisfaction is plucking a book of the shelf, the smell, holding the book, reading the blurb and that exciting feeling as you’re nearing the end. I just didn’t think I would get the same feeling from a reading device. For years I haven’t even considered buying one, haven’t even been tempted but I was going on holiday a couple of months ago it sparked up a conversation with friends about real books versus electronic books. The advantages of having a Kindle when going away won me over because quite simply I had more space in my case for my beauty products and shoes! Instead of having to find room for five bulky books all I had to do was take my slimline Kindle in my hand luggage which was perfect. Don’t get me wrong, I still love reading a traditional book but I’m now also loving my kindle too and although I’ve only had it since the end of August I’ve already read nine books and am on my tenth. Do read on a Kindle? Like you I wasn't impressed by the idea of a Kindle or similar when they first came out, why would I want to read on a screen and lose out on the feel and smell of a book? Plus, they don't look as pretty on your shelf. I bought one about three years ago now because I just haven't got space for every book plus they're much cheaper and you can put your Kindle in your bag and don't have to worry about a book getting ruined. My Kindle is the best Christmas present I've ever received. While I still “indulge” in paperbacks, I find it almost easier to read on a Kindle, and more convenient. 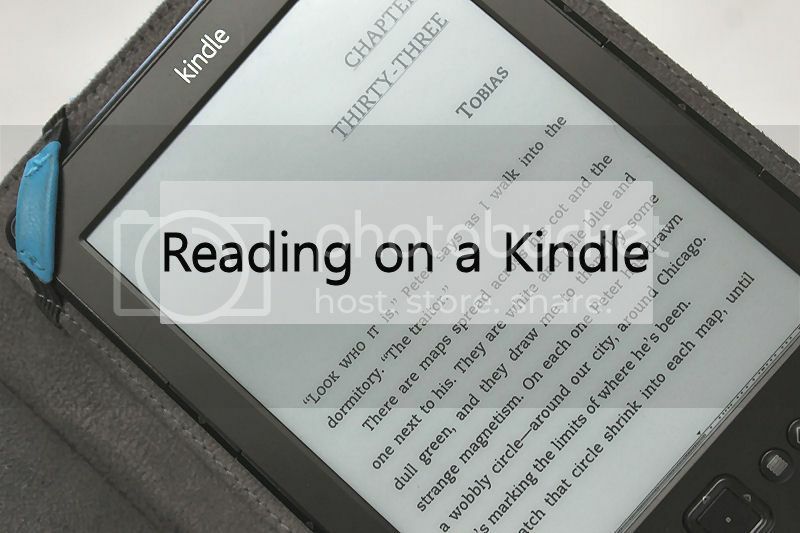 The battery lasts forever, and I love all the little features that come along with the Kindle, like being able to highlight words or phrases, using the Dictionary, taking notes, and more. I love my Kindle, and I use it every day. I have had mine for over 3 years now and it is brilliant. One of the best things I have ever treated myself too. I love it. I resisted a little at first too but then once I realised just how many books I could have with me at any given time I was hooked. A month away from home? No problem my Kindle kept its charge (so I didn't have to deal with pesky power converters) and I had oodles of books to pick from for long train rides and such. I currently do not have a Kindle but have been thinking about purchasing one. I can't believe how much easier it is to read on a kindle, when I read a book on a kindle I fly through it but when I read a normal book I really struggle and it takes me ages. I definitely prefer kindles and download all my books now, although I do love buying books. I love my Kindle. It's super light and portable. I never have to worry about it fitting in my bag either!